Between 1934 and 1943, ten photographers: Elmer “Ted” Johnson, Walker Evans, Ben Shahn, Arthur Rothstein, Carl Mydans, Edwin Locke, Marion Post Wolcott, John Vachon, John Collier, Jr., and Arthur Siegel, visited West Virginia as part of Roy Stryker’s Farm Security Administration (FSA) photographic unit. The FSA’s primary attention during this time was on the northern and southern coalfields, the three subsistence homestead communities (Arthurdale, Eleanor, and Tygart Valley), and two wartime assignments in Nicholas and Mason counties. Rivard does a more than fair job of including images from a variety of the photographers as well as the regions covered. As a Mingo County native, I was somewhat disappointed to not see any photographs of Williamson or outlying areas included in the Southern Coalfields section, given Mingo’s rich coal heritage and importance in the labor movement. But I admit my bias and am including an image below (not in the book) by Ben Shahn made in Williamson in 1935. Logan and McDowell counties are well represented in pictures by Ben Shahn and Marion Post Walcott. New Deal Photographs of West Virginia is a brilliant book, extremely well edited and designed. The photographic reproductions are sharp and well printed and with every image, the Library of Congress negative file number is included, which makes finding them online incredibly easy. I hope in the few years since this book was published that every county library and school in West Virginia has a copy. It is a treasure, and not in photographs alone. I can only hope for a second volume. Betty Rivard is an award-winning fine art landscape photographer. 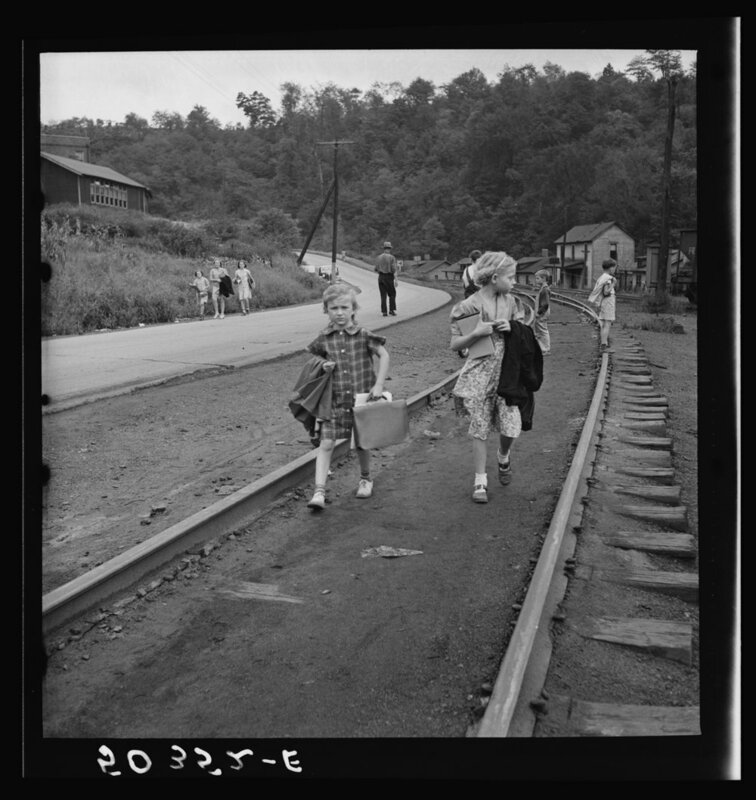 She has researched and coordinated three exhibits of FSA photographs of West Virginia and contributed to articles about the FSA Project to Wonderful West Virginia, Goldenseal, and West Virginia South magazines. She is a Social Worker Emeritus and traveled to every county in West Virginia during her 25-year career as a social worker and planner with the state. 1. Wives of coal miners talking over the fence. Capels, West Virginia. Marion Post Wolcott. September 1938. LC-USF34-050260-E. 2. Miner (Russian). Capels, West Virginia. Marion Post Wolcott. September 1938. LC-USF33-030077-M1. 3. Men in Sunday clothes with miners’ clubhouse in the background. Omar, West Virginia. Ben Shahn. October 1935. LC-USF33-006200-M1. 4. Coming home from school. Mining town. Osage, Scotts Run, West Virginia. Marion Post Wolcott. September 1938. LC-USF34-050352-E.